Now that the word ‘selfie’ has been included in the Oxford English Dictionary, it probably deserves some historical context. Defined as a photograph that one has taken of oneself, typically one taken with a smartphone or webcam and uploaded to a social media website, selfies are everywhere. But who took the first selfie? A recent article on the Huffington Post points to Robert Cornelius of Philadelphia. In October, 1839, he posed for this photograph in his backyard and had to stand still for as many as 15 minutes for the full exposure. His neighbors must have thought he was a bit peculiar but they clearly weren’t up on their social media. The photograph is especially interesting because he looks so casual. 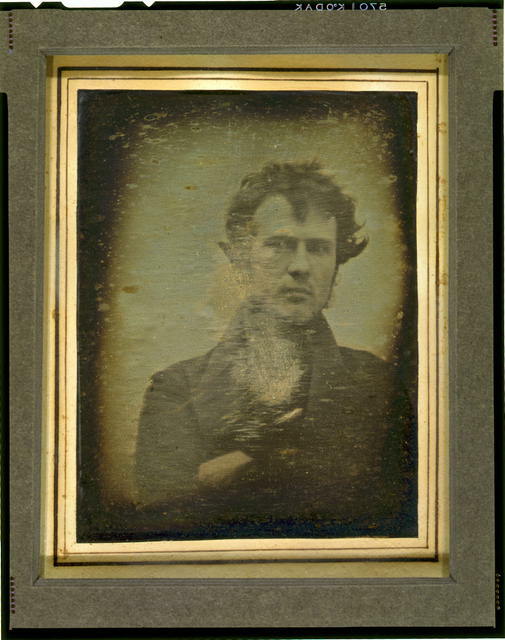 Most photographs (or daguerreotypes) made during this time were formal and stiff. Robert looks rather dashing with his unkempt hair and stubble. Ryan Grenoble, the author of the Huff Post article observes that he would have been right at home with today’s hipsters. “The first light photograph ever taken” is written on the back of the photo. Cornelius went on to open a photography studio, only to later return to his family’s lamp business. Prior to this article, Business Insider believed that it had discovered two of the world’s oldest selfies. 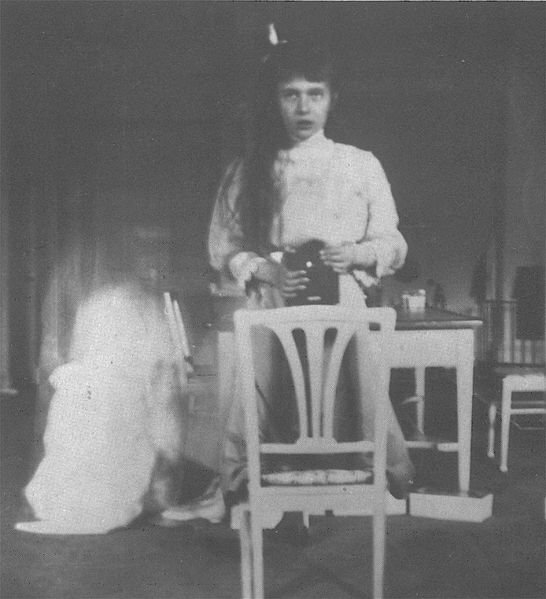 One was taken by Grand Duchess Anastasia Nikolaevna in 1914. She sent a copy to friends, telling them how difficult it was to take the photo because her hands were shaking so badly. 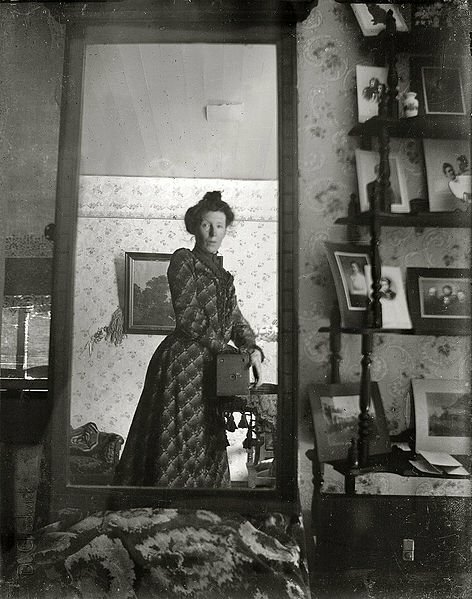 In 1900, this Edwardian lady posed in front of a mirror and used her Kodak Brownie Box camera. Judging from all of the photographs displayed on the shelves, she must have been quite the photography aficionado.